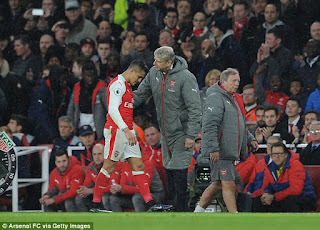 Arsenal have put forward an offer worth £9.3 million a year to Alexis Sanchez whose contract situation at the club is still in the dark. The Chilean international wants £250,000-a-week but what the Gunners are proposing is a bit below that. According to reports from today's papers £180,000-a-week is what Arsenal have tabled, an offer which has been well improved when compared with his previous weekly wage of £130,000. Negotiations between both parties are still ongoing and it is believed that there might be a step up in the bid in coming weeks. Alexis is one of those stars Arsenal want to commit their future to the club. Hs current deals runs out in the summer of 2018 which is why all efforts are being put forward to tie down the two-time Copa America winner. The SportsMail disclosed that the supposed £400 000-per-week offer which came in from China last week is just a ploy by the 27-year-old\s representatives to get an attractive deal for him.